Our Google Analytics training course lets you master this powerful analytics tool. We provide the best online classes to help you learn the technique of making data-driven decisions, code installation, studying various metrics, monitoring web traffic and creating detailed reports. As part of this training, you will work on real-world industry projects. 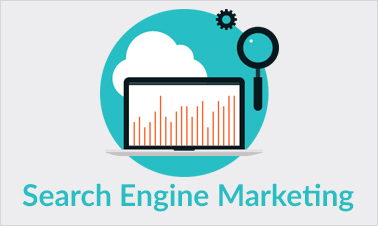 Google Analytics is the most popular tool for measuring the performance of your website. This Google Analytics training gives you a thorough understanding of the principles of this data-driven decision-making tool. You will be trained in the installation of code, setting goals, web traffic study, demographics, browsing habits and creating custom reports. What will you learn in this Google Analytics training course? Who should take up this Google Analytics online training course? What are the prerequisites for taking up this Google Analytics training course? Anybody can take up this training course. Although, a basic understanding of Internet technology and websites is helpful. Why should you take up this Google Analytics training course? Today, no digital marketing campaign is complete or successful without the right deployment of analytics. 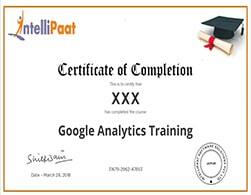 This is where the Google Analytics training course from Intellipaat can help you in understanding how to improve the visibility and reach of websites. You can implement various strategies by visualizing the data from Google Analytics Reports and improve the digital marketing success rate. Having an in-depth understanding of Google Analytics can help you get jobs at some of the biggest companies around. What Google Analytics projects you will be working on? Problem Statement: It explains how to navigate to the different report available in Google Analytics. Understanding about Google Analytics, the importance of Google Analytics (GA) in the overall digital analytics strategy, creating a business plan by deploying GA, how GA helps marketers and analysts to improve the performance of the business by measuring the various metrics, working with the GA dashboard, the various elements, the various Report types, the standard Reporting Views in GA, customizing Reporting Views, creating goals and GA administration. 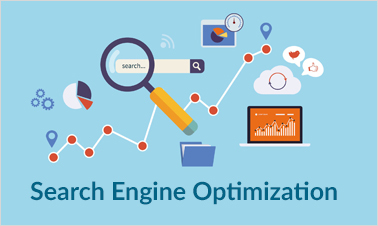 Setting up of Google Analytics account, inserting the right code on website, data optimization using search query data, tracking the different elements in the overall digital marketing strategy through web master, tracking content performance, the various metrics like average time spent, bounce rate, number of visitors, SEO results tracking, the various tools in webmaster, tracking of social media metrics, various additional functions done via Google Analytics like tracking offline marketing, app tracking, segmentation of traffic, video interaction and phone call tracking. The various steps in auditing of Google Analytics, measuring bounce rte by traffic type, filtering account, tagging of URL, tracking of website conversion, micro and macro conversions, generating custom reports, interpreting results by unifying it, tracking traffic source. Benefiting from the various features of Google Analytics, introduction to additional advanced options available in GA for configuring of various tracking options, creating multichannel funnels, integrating CRM functionalities, apps and mobile websites, real time analysis using Google Analytics. Deploying of GA for ecommerce tracking, understanding the various advanced techniques for ecommerce scenarios, GA enhanced commerce, the schema of enhanced ecommerce, working with various data like action, product, impression and promotion data, site mapping, creating template, the difference between reporting and analysis, analyzing multi-channel traffic source, onsite merchandising, analyzing of shopping behaviour, creation of ecommerce reports. Deploying of Google Analytics for tracking the performance of mobile apps, measuring of user behaviour, the various metrics for mobile apps screen tracking, tracking features for both Android and iOS, event tracking for mobile apps, complete tracking of ecommerce app on the mobile. Introduction to Google Tag Manager, tracking various analytics, and marketing metrics using the Google Tag Manager, the important rules to follow, designing website tags and coming up with firing rules, improving the performance of Google Analytics, containers and structure accounts, providing user permissions, setting up containers, previewing containers and learning about the various container versions. 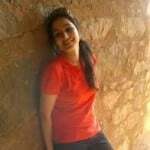 The best practices for setting up of Google Analytics account, generating customized dashboards, custom alerts, in-page analytics, custom report filtering, option for table view, Pan session analysis, Recency and Frequency Reports, deploying GA for matched query types, the keyword position and day parts. This course is designed for clearing the Google Analytics Individual Qualification (IQ) exam. The entire course content is in line with the certification program and helps you clear the certification exam with ease and get the best jobs in top MNCs. The unique combination of online classes with live projects helped me gain a deeper understanding of Google Analytics. The approach of the training is highly organized. The best part is the use of detailed and easy explanations by the instructor to get started with GA Reporting. I had an excellent learning experience with Intellipaat’s online training course. 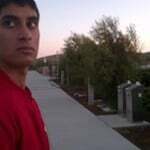 It gave me a comprehensive understanding on Google Analytics and its implementation in my work. It gave me a brilliant job opportunity in my career. Why should I learn Google Analytics from Intellipaat? This Intellipaat Google Analytics training gives you hands-on experience in mastering the data-driven decision-making tool for website performance monitoring used by majority of organizations around the world. You will learn GA code installation, monitoring web traffic, studying user demographics, deciphering browsing habits and creating custom Google Analytics reports through this course. 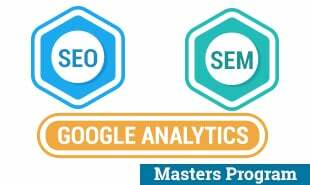 This entire course content is in line with the requirements of clearing the Google Analytics Individual Qualification (IQ) Certification exam. You will be working on real-time Google Analytics projects and step-by-step assignments that have high relevance in the corporate world, and the course curriculum is designed by industry experts. Upon the completion of the training course, you can apply for some of the best jobs in top MNCs around the world at top salaries. Intellipaat offers lifetime access to videos, course materials, 24/7 support and course material upgrading to the latest version at no extra fee. Hence, it is clearly a one-time investment. Sign Up or Login to view the Free Google Analytics Training course.